The January meeting takes place at the First Unitarian Universalist Congregation (4001 Ann Arbor-Saline Rd) from 12:45 – 2:45 pm. All are welcome! The sisters were very welcoming and receptive to the presentation. Unexpectedly, there was at least one person in the audience who disputed the premise that climate change is happening. It made the presenters realize they need to be better prepared for how to handle that type of reaction in the future! Our next meeting is Saturday, December 5, 12:45 – 2:45 pm, First Unitarian Universalist Congregation, 4001 Ann Arbor-Saline Rd. Starting in January, meetings will be on the second Saturday of the month. Detroit News op-ed by Lisa Wozniak, director of the Michigan League of Conservation Voters. MLive op-ed by Lansing CCL volunteer Jacqueline Stewart. Detroit Free Press column by Nancy Kaffer. Sunday, November 8, 1:00 – 2:00pm, First Unitarian. Food Waste Forum. Co-sponsored by First UU’s Climate Action Group and Mindful Eating Coalition, and Interfaith Council for Peace and Justice. Will focus on why food waste is a climate problem and how we can help solve the problem. Tuesday, November 10, 4:00 – 5:30pm, Weill Hall. A conversation with former Republican Congressmen Mike Rogers and David Camp. Hosted by Former Republican Congressman and UM Visiting Lecturer, Joe Schwarz. Thursday, December 3, 7:30pm, St. Mary’s Student Parish. 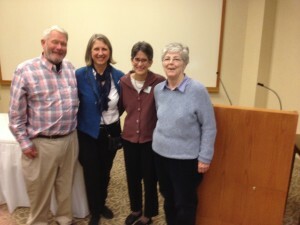 Sister Simone Campbell: “Creating an Economy of Inclusion: Pope Francis’ Call to Common Good”. More information and register here. This is a fundraiser for RESULTS and open to the public. (flyer attached). 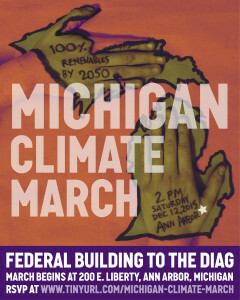 Saturday, December 12, 2:00 – 4:00pm, Downtown Ann Arbor. Michigan Climate March. Ann Arbor CCL Google Group. To exchange information with other members and find out about letter-to-the-editor opportunities. To join, visit the web site and then click on the link to subscribe, or send me an email. If you would like to listen to a recording of the call, access it here. More details on the monthly actions here, including suggestions for writing to Senators and writing letters to the editor. Guest speaker Rob Williams from Resources For the Future first addressed why economists favor a carbon tax over a carbon cap, then summarized the results of two studies examining 3 different methods of recycling the revenue from a carbon tax: 1) Tax cut on capital income; 2) Tax cut on labor income; 3) Lump sum dividend. Option 1 is more efficient over all, but the lowest 3 quintiles fare best under option 3. Texas Energy Freedom Tour. Read about this amazing outreach project here. Fall Fundraising appeal. Please consider donating and asking for friends and family to donate on Giving Tuesday, December 1, when there will be a 1-day, $25,000 matching grant. Make your donation using this link. LM described efforts to get editorial board meeting with Detroit Free Press and Detroit News. No meeting scheduled yet, but still working on it. Made plans to have a CCL table in the First UU social hall after the climate change-focused service on Nov 22. Service being planned by members of the Climate Action Group, including KH (lead) and JS. Talked about hosting Green Drinks event on first Thursday in January. GR will reserve room at Arbor Brewing. 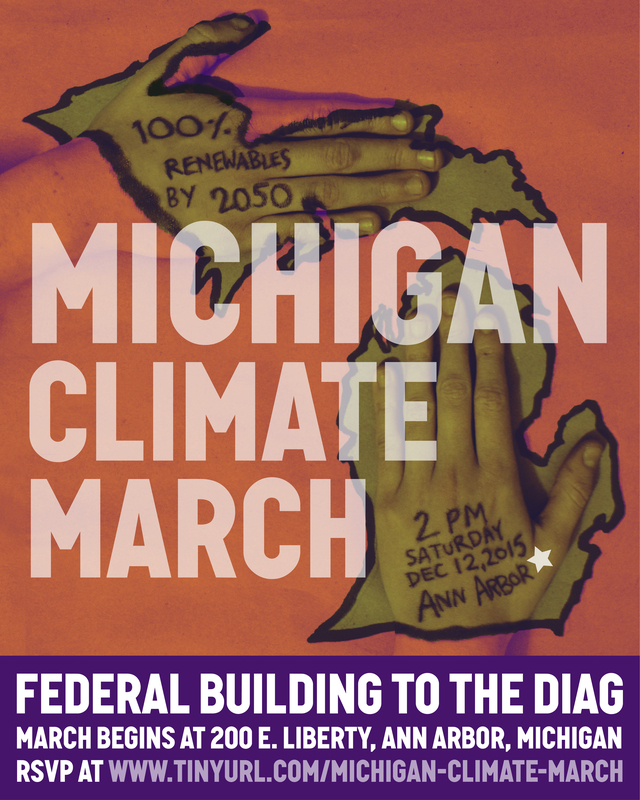 Please mark your calendars now for the Michigan Climate March! Whether or not you have been active with CCL up til now, this is a great opportunity to come out and demonstrate your support for action on climate change. We would love to have as diverse and broad a crowd as possible. Our purpose for the march is to call attention to the need to act on climate change, and to ask our State leaders for a just transition to 100% renewable energy by 2050. The march is timed to coincide with the end of the Paris climate talks, to encourage continued action following the negotiations. The march will start in front of the Federal Building, proceed through downtown Ann Arbor, and end on the U of M Diag with a rally and speakers. Please help spread the word to friends, family, and organizations all across the state to make this the biggest call to action on climate change in Michigan history. 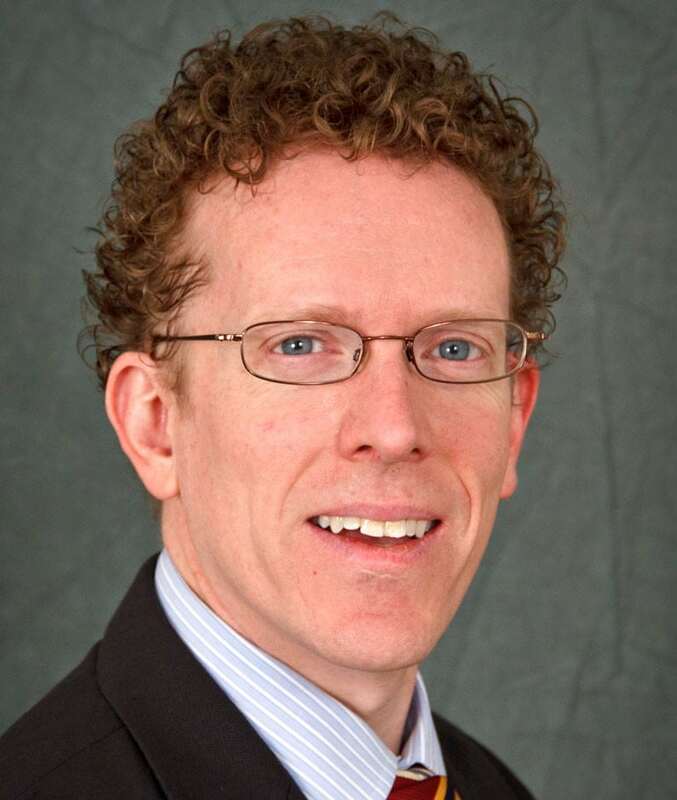 Rob holds a PhD in economics from Stanford and is a professor at the University of Maryland, College Park. 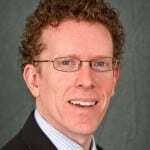 He is also a research associate of the National Bureau of Economic Research. Our next meeting is Saturday, November 7, 12:45 – 2:45 pm, First Unitarian Universalist Congregation (4001 Ann Arbor-Saline Rd). Mark your calendars now. 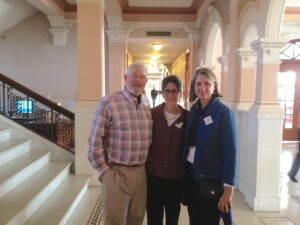 New Ann Arbor CCL website created by volunteer WL. Lecture: John Luther Adams: Music and the Anthropocene. October 15, 5:10-6pm, Michigan Theater. Additional Info. Lecture: This Changes Everything: Capitalism vs. the Climate: An Evening with Naomi Klein. November 2, 4-6pm, Rackham Auditorium. Screenings of the film This Changes Everything. Ann Arbor CCL Google Group. To join the group, visit the web site and then click on the link to subscribe. Recorded October 8 webcast of Local 4 meteorologist Paul Gross talking about climate change. Guest post on Eclectablog.com about the Gibson Resolution. We have a great opportunity to do some outreach in Detroit and expand CCL’s presence there. If you can spare a couple of hours on October 23-25 to help with tabling at the Great Lakes Bioneers conference at Marygrove College in Detroit, please sign up here. At a minimum, we need one person for each time slot, though it is nice to have 2 people. If you’re new to tabling, you can sign up to work with someone else. CCL Legislative Director Danny Richter gave a brief summary of how the Gibson Resolution came about. You can listen to a 15 minute podcast in which he explains more of the details here. The guest speaker, Dr. Patrick Verkooijen of the World Bank, spoke about the World Bank’s involvement in dealing with climate change, and specifically, how they have been advocating for carbon pricing to be part of the Paris climate negotiations. Mark Reynolds explained the two-fold purpose of the targeted lobby day on November 17. First, to brief members of Congress on the results of our June lobbying. Second, to invite them to attend briefings on carbon pricing and carbon usage given by Resources for the Future, a top economic research firm in DC. CCL volunteer Rob Hogg is running for US Senate in Iowa. 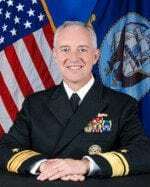 Rear Admiral David W. Titley (ret.) is the newest member of CCL’s advisory board. MK described her efforts to contact all of the Washtenaw County Commissioners to seek their endorsement of Carbon Fee and Dividend. We did tabling at several events: UM’s EarthFest, Our Climate Change Legacy summit for elders, Detroit March for Justice. We scheduled a presentation on November 14 for the Adrian Dominican Sisters. DG submitted an op-ed to the Detroit News, which has not been published so far. Put on a skit about climate change / CCL at a coffee shop, such as Espresso Royale. Host a screening of Merchants of Doubt or This Changes Everything. Possible locations/partners: School of Natural Resources and the Environment, UM student groups (Divest & Invest, Students for Clean Energy), Ann Arbor Public Library, UU Church. Talk to family, friends and colleagues; ask them to go to the CCL website and click on the red Join CCL button to demonstrate support. (They enter their name and email address and will get one monthly newsletter). We talked about possible ways to get the Detroit News to publish an op-ed from us. LM suggested getting a big business to partner with us, such as Ford (!). MB suggested getting AATA to partner with us. Saturday, October 10, 10am – noon. First Unitarian Universalist (4001 Ann Arbor-Saline Rd). The meeting time is 10am because there is a 3:30 UM football game this day, and we will be listening to recording of the national call. Green Drinks: update on the Climate Action Plan. Wednesday, September 23, 5:00-6:30, Ecology Center (339 E Liberty, Suite 300). 350.org Power Through Paris organizing workshop on how to build momentum in the climate movement as we head towards the Paris climate talks. Saturday, September 26, 10am, First United Methodist Church. Can We Achieve Sustainability within a Capitalist System? Lecture by Dr. Paul Robbins (University of Wisconsin-Madison) and faculty panel discussion. Thursday, October 1, 4-6pm, Dana Building, UM Campus. Detroit March For Justice. Saturday, October 3, noon-4pm, Roosevelt Park to Hart Plaza. A group from Ann Arbor will be going, as well as from other Michigan CCL Chapters. Let me know if you’re thinking about going, and be sure to RSVP using the link above. *** If you are available to help with tabling at the Climate Change Summit on September 26, between 11:30am – 1pm, please let me know. Larry Junck will be there and it would be helpful to have one or two more to help answer questions. The CCL Ann Arbor Google Group is Citizens Climate Lobby Ann Arbor. The group is intended as a way for members of the group to exchange information on topics of interest. Messages sent to the group are received by all members of the group. To Join the group, either visit the web page and click on the link to subscribe, or send me an email and I’ll add you. Once you are a member, you can send a message to the group by sending it to: citizens-climate-lobby-ann-arbor@googlegroups.com. Here are the suggested actions for the month of September. Any and all can participate — the more the better! Please do what you can. For more information on writing letters, see the attached Action Sheet document. If you send letters to your MOC or get a letter to the editor published, please let me know so I can keep a tally. Write letters to the editor and op-eds related to the Pope’s visit to the US and appearance before a joint session of congress next week. Write letters to your members of Congress, highlighting the Pope’s visit and calling for action on change. Bonus: Ask Republican Representatives to co-sponsor the Gibson resolution on climate change that was introduced Thursday, and participate in the Congressional Call-In on Monday, September 28.